Throughout 2019, in honor of Jumpstart’s 25th Anniversary, we will be highlighting 25 Faces of Jumpstart. This campaign celebrates the wide variety of people who have played a major role in Jumpstart’s history — our founders, volunteers from Jumpstart’s past, Jumpstart children and their families, influential donors and supporters, and more. We cannot wait to share their stories with you — how they helped shape and grow Jumpstart into what it is today, the impact that Jumpstart has had on their own lives, and their vision for the next 25 years of Jumpstart. It’s impossible to reflect on the past 25 years of Jumpstart without thinking about the role of the longest-standing board member, Jennifer Marrus. 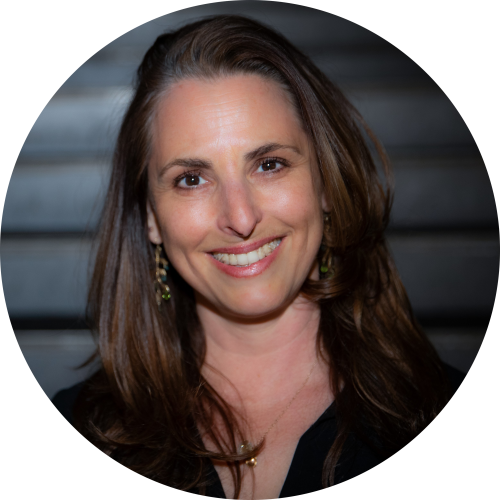 A passionate philanthropist with keen knowledge of social impact, Marrus has been a key asset for Jumpstart and has helped propel the organization to where it is today. When Marrus was first introduced to Jumpstart, the organization was in its beginning stages — serving children in two classrooms in New Haven and Boston with college student volunteers from its first two partner universities: Yale and Harvard. After 25 successful years, Jumpstart now serves over 13,000 children every year with the help of more than 4,000 college student and community volunteers from over 70 college and universities, and Marrus has been involved every step of the way. Jumpstart’s ambitious founders were fueled by passion but had to rely on testing new waters as they established a successful model for this new organization. Marrus was not shy about helping bring Jumpstart into uncharted territories, and thus, was the part of many of Jumpstart’s ‘firsts’ as the organization expanded programming into New York City in 1997. 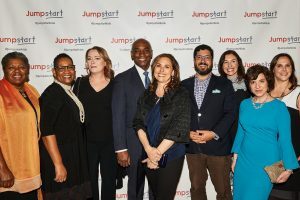 As a founding member of Jumpstart’s New York Advisory board, Marrus launched Jumpstart’s annual fund, led the planning for the first Kidsfest, a community celebration of early education and literacy on the Lower East Side of Manhattan, and organized the first of many annual benefits (these events ultimately transitioned to what is now Jumpstart’s annual Scribbles to Novels gala). She participated in Jumpstart’s first Read for the Record® campaign and witnessed the Empire State Building illuminated in Jumpstart colors in support of Read for the Record in 2009, when the event featured teen heartthrob Justin Bieber as the celebrity ambassador. 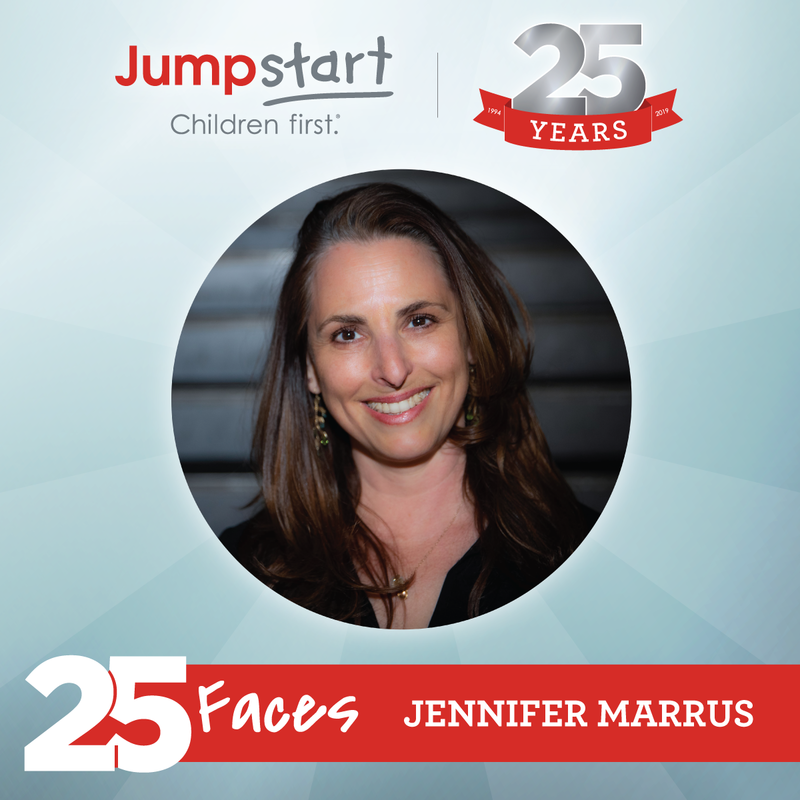 Jumpstart is proud to honor Jennifer Marrus as one of the 25 Faces of Jumpstart for her commitment throughout the years, her passion to make an impact, and her willingness to share her experiences in a compelling way with everyone she encounters. She remains a passionate advocate for the organization and an integral member of the National Board — which has been crucial to Jumpstart’s success.